(1) E = Extension, A = Application, C = Control Panel. (2) AppleShare File Server is not compatible with MultiFinder. (3) JCRemote in Sys 6 requires 68030 to serve or fetch folders. (4) Public Folder fetches only folders and files that are at root level of directory that is designated by server. (5) allShare Sys 6 client will fetch folders from Sys 6 server. (6) Carbon Copy Mac demo expired after transferring several MB of data. System 6.0.5-->6.0.8, AppleShare 2.0.2 from Sys 6.0.5-->6.0.8 installers (workstation software). Tested with System 6.0.2 and AppleShare 2.0.1. 1..Set File Sharing privileges on System 7 (or higher) client to allow "User/Group" and/or "Everyone" to "Make Changes". 2..Open Chooser in System 6 and launch hard drive icon of System 7 (or higher) client to System 6 desktop. 3..Double click on hard drive icon of System 7 (or higher) client. 4..Drag Folders and/or files from System 6 hard drive to desired location in client's hard drive. Gamba's notes: Tested with System 6.0.3. Requires 68030 to serve or fetch folders. JC Remote causes crash during desktop rebuild at boot. The crash can be avoided by waiting to hold down the COMMAND OPTION keys until just after the JCRemote icon has appeared at bottom of screen. This is JCRemote, a Chooser RDEV with allows transferring files between Macs with Appletalk without using a file server. This program was written before System 7 came out, and offers many of the benefits of System 7 filesharing under System 6. Install by copying JCRemote into the system folder and Restart. Open Chooser and select JCRemote. Select the "?" in JCRemote and read the help script. The author is Johan Carlsberg, Nilssonsbert 21, s-411 43 GOTENBORG, Sweden. The thing works as advertised. It is by no means as stable as Public Folder but it does allow you to poke about in different volumes on another Mac. THERE IS NOT A PASSWORD PROTECTION MECHANISM!!! So be real sure you want other people to be able to play with your Mac. Public Folder is totally stable. Public Folder fetches only folders and files that are at root level of directory that is designated by server. To make the entire server hard drive accessible, the syntax that worked for "Customize", "Public Folder Location:" was <hard drive name:> (hard drive name followed by colon), and it was not necessary to have a <Public> folder on hard drive. Public Folder is a network file transfer and file sharing system. It allows anyone to make files and folders of files available to other users attached to an AppleTalk network. These files and folders, stored in a special folder called Public, can be seen and fetched by anyone on the AppleTalk network that is also using Public Folder. Public Folder consists of a single file called an RDEV file. Its user interface can be accessed through the Chooser desk accessory (this is similar to the way you choose printers on an AppleTalk network ). To get started with Public Folder simply copy it into your system folder and create a folder on your main disk called "Public" (NOTE: not "Public Folder"). Make sure that AppleTalk is turned on, then restart your machine. Any files placed into your Public folder will be accessible by anyone on your network and you will be able to access files placed into other Public folders. The customize button in the Chooser lets you customize your Public Folder. You can change the default folder name from "Public" to anything you'd like. Using these features allows you to set up multiple Public folders on your machine. For example, you could set up two Public folders on you machine using two copies of the Public Folder file. The first one could use the default setup, it would be identified as "John Doe". The second could refer to a folder called "HD20:Latest Artwork Collection" with the Custom name "Latest Artwork". If you wish not to have Public folder installed when you startup your Macintosh you can hold down the SHIFT key during startup. The regular Public Folder icon will not be shown, rather a similar icon with a large X is shown. This tells you that Public Folder did not install. The only known incompatibility between Public Folder and other products is with Apple's CD-ROM drive. The currently shipping version of this software can cause Public Folder to crash your Macintosh when others are fetching files from your machine. DO NOT create a Public folder on your Macintosh if you are using the Apple CD-ROM drive. Using the Public Folder RDEV to access other Macintoshes is OK and will not cause a crash. Oscar is a very simple point to point file transfer utility application based on the AppleTalk Data Streaming Protocol.  225K or so of Random Access Memory. OK to run about 150K on non-color QuickDraw Macs. Place the ADSP & Desktop Manager files in your System folder and reboot and hold down the option & command keys as the Finder loads. The Oscar app can be placed anywhere on your disk. When Oscar is run he will create "In Box" and "Out Box" folders on your boot disk at the root level. These are the default locations for sending and receiving the files/folders. To send files to someone, you have to create a folder with their Chooser Name in the "Out Box" folder. You can do this using the New Folder command of the File menu of the Finder. If they are in a different AppleTalk Zone from you, you will have to add an at-sign ("@") followed by their Zone name to the folder name. The latest Oscar has an auto-find feature for currently running Oscar users. This will create the Out Box folders & add the Chooser/zone name combination to the Desktop file's GetInfo box for you. This can be found in the SetUp... dialog. A scrolling list of zones is available if you have zones present. Simply select the zones you want to have searched and let it go. Once you have created the folder, you can send a file to someone simply by Option dragging a file or folder into their folder. Oscar will eventually notice the file, transfer it to the other machine, and DELETE THE FILE from their Out Box folder but not delete the original. The In Box folder is where files/folders will be received. Oscar will rotate a notification icon with the Apple menubar icon when something has been received and make some sort of obnoxious noise too. (the noise can be changed). There is an option in the SetUp... dialog to have a folder created in the In Box which has the name of the party who sent the files. The incoming folders/files will be placed in that folder. Gamba's notes: Said to require System 3.2, Finder 5.1. Caution! The transferred folders will be deleted from Server unless "LOCK" is checked in EasyShare. Be sure to close connection as soon as transfer(s) are complete. AppleShare compatibility means that EasyShare works with Apple's AppleShare software. You can mix computers running EasyShare along with AppleShare file servers on the same network. Running in background means that you don't have to dedicate a computer to be your server. This keeps the cost down. Every computer running EasyShare can be a server, and you can continue to use the computer while others use files on its disk. With EasyShare you are in control of the data you want others to use. You may allow others access to an entire volume or just selected folders within the volume. You don't have to set up complex user lists, group lists or access rights for each and every folder like other server software. You simply select a folder (or the entire volume) and publish it for others to use. You need only to install EasyShare on the computers that have the files to be shared. All the other computers that want to use these files simply use Apple's built-in AppleShare software that comes on Apple's System disks. Any Apple supported system from System 3.2, Finder 5.1 to the present. Gamba's notes: Said to require 6.0.3. Extremely unstable, useless in some cases. The Desktop Manager extension is available in the Oscar download. Putting the SingleShare Server startup document into the System folder is very risky. Leave it in the SingleShare folder and use the "Application" mode. 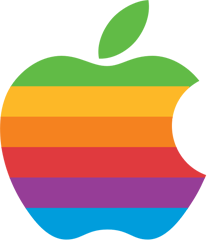 SingleShare is an AppleShare server which, unlike AppleShare, does not need a dedicated Macintosh to run, yet, unlike TOPS, adheres to Apple's protocol standards. SingleShare needs at least System 6.0.3 and AppleShare version 48 or later, as described in Inside Macintosh V.
	Any Macintosh running System 6.0.3 or later. 	About 100 kBytes of free RAM. This unfortunately means that you will run into some memory problems on Macs with only one MB of memory. 	The Desktop Manager. This is a startup document from Apple which comes on AppleShare server installation disks. 	If you have a Macintosh Plus (or possibly a Macintosh XL running MacWorks 3.0, although this is completely untested), AppleTalk version 48 or greater. This can be found on AppleShare Server installation disks, and should also be placed in the System folder. All other Macs already have version 48 or greater in ROM. Turning off Appletalk or changing connections ("Networks" in the Control Panel desk accessory, if you have it) is disallowed when the server is started. You must restart your Macintosh without "SingleShare Server" in your System Folder to do this. "Here's AllShare, a distributed file server. The demo in only limited in that the system clock must be set to BEFORE December 31, 1990. Works over all flavors of Appletalk and is AFP compliant. Documentation is included." DANGER, allShare might delete folders even if the "Inhibit deletes by user" is activated in the _allShare control panel! This page copyright � 2001-2003 by Gamba. All rights reserved.